A Dream Becoming A Nightmare!! Yesterday, here in The United States, we celebrated Martin Luther King Jr. Day. He gave a speech which is now infamous, The ‘I have a dream’ speech. 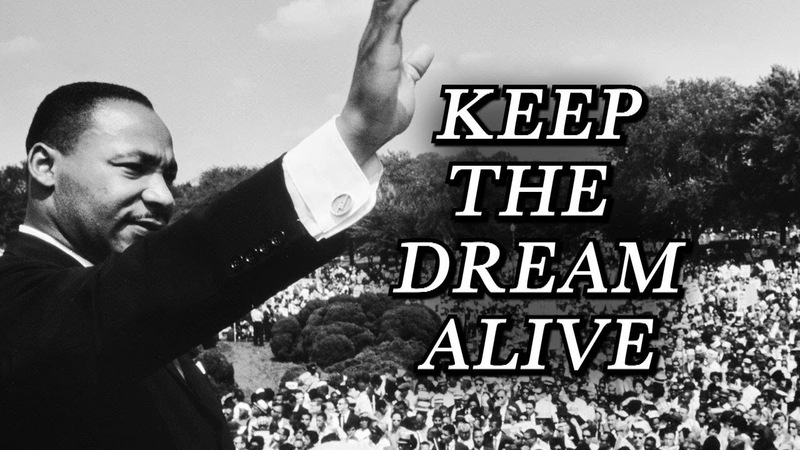 And even though Mr. King had this dream almost 50 years ago, we have turned it into a nightmare! We are more divided as a nation than ever. We are more divided as a world than ever before! Come on!! When will we get it???! All people deserve the pursuit of happiness!! Unless that pursuit is specifically infringing on the right of anyone else on the planet, shut up! It makes me literally sick to see so much division and so much hate! And it’s bad! We have a country hating our President who is leaving. We have a country hating our President who is coming in!! We have a world that is more and more by the day hating The United States!! There is absolutely nothing uniting us anymore and I am sick of it!!!! Seriously, Martin Luther King Jr. knew that only Love can drive out hate! He knew that only a flicker of light is all it takes to chase away the darkness. And yet, here we are 50 years later and we are still chasing after that darkness as though it is something to be desired in our lives. The time to stop the madness is now. The time to bridge across the divides is now. The time to love every single one of our fellow human beings is now! Martin Luther King Jr. believed in it, why are we letting ourselves forget it now? We need to wake up from this nightmare we are creating and create a world that works together. It will take work. It will take pain. It will take growth. It will take faith. It will take humbleness. But by God, and By God Alone, we can recreate the light Mr. King saw so many years ago. Previous Another Late Night Thought.